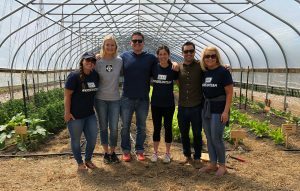 This June our team worked with the McLaughlin Grows Urban Farm in Muskegon. 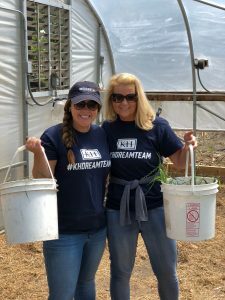 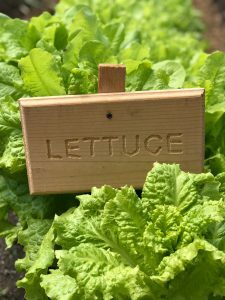 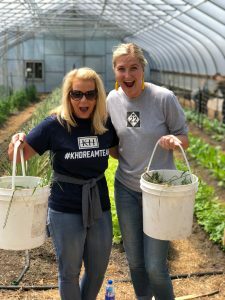 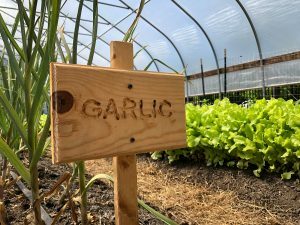 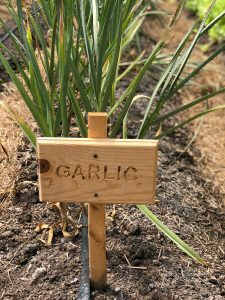 After we arrived at the garden, Laurie Wieschowski, the McLaughlin Grows Farm Manager, told us a little more about the organization and what they’re doing in the community. 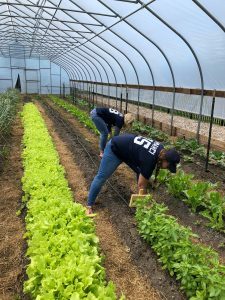 Our team got to work weeding in the hoop house. 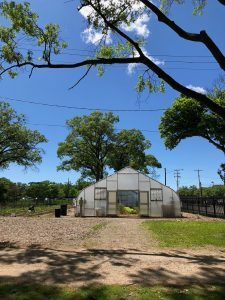 We picked the perfect day, weather wise, to work in there! 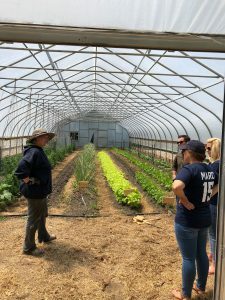 Inside the hoop house they have rows of different kinds of plants. 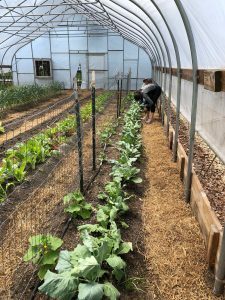 There was rows of lettuce, swiss chard, garlic and other varieties! 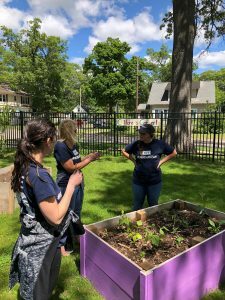 We had a great time pulling weeds and talking more with Laurie. 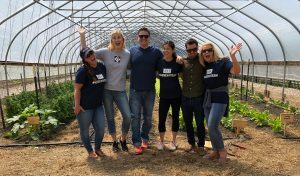 The team got in such a weeding groove we ended up weeding around the outside of the hoop house as well! 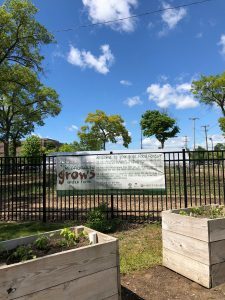 This urban farm is doing a lot of wonderful things for the community of Muskegon and we’re thankful we were able to get our hands in it (literally!)! 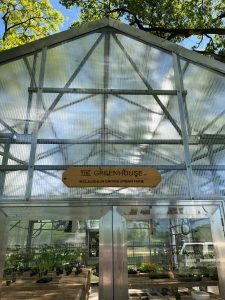 They also have a CSA program you should check out! 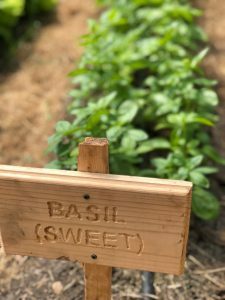 It’s a great way to buy local & fresh produce! 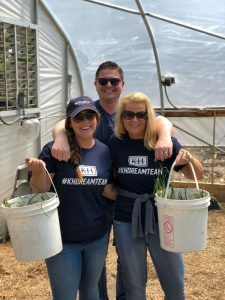 If you haven’t already done so, watch our video to learn more about their needs and how you can help!